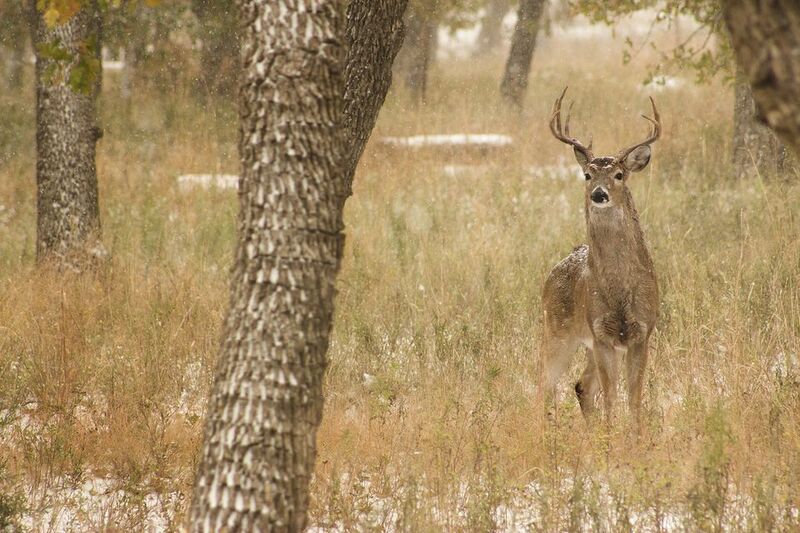 Those with Oklahoma hunting licenses are allowed to hunt during very specific times of the year, depending on the method of hunting and the game being hunted. It is important to follow the restrictions of hunting season as hunting outside of them could result in stiff fines. Oklahoma has specific seasons for deer, antelope, bear, dove, pheasant, quail, rabbit, squirrel, turkey, and raccoons, badgers, and other furbearers as well as special muzzleloading, archery, gun hunting, youth hunting, and holiday hunting seasons. In early September of each year, Oklahoma holds free hunting days when no hunting license or Harvest Information Program permits are required to hunt. The period coincides with dove and squirrel season, and for 2018, Oklahoma free hunting days will be held September 1 and 2. To verify dates and for more information on specific counties, contact the Oklahoma Department of Wildlife Conservation or visit the department's current Oklahoma Hunting Guide for details on regulation changes for this year, license exemptions, and field requirements. If you're planning on visiting the Oklahoma City metro area and want to get out of the city for a day trip spent hunting some local game, there are plenty of options to choose from including Canton Lake, Lexington Wildlife Management Area, and Lake Thunderbird. Canton Lake is located just a short drive northwest of Oklahoma City and has nearly 15,000 acres of public hunting land. Alternatively, you could drive about 20 minutes or so south of Norman to the Lexington Wildlife Management Area, which contains about 9,500-acres of quail, deer, turkey, and other small game. Arcadia Lake is the closest to downtown Oklahoma City as it is just outside the city limits in Edmond, but you can only go on controlled archery deer hunts in this town. Lake Thunderbird in Norman, on the other hand, offers deer archery and shotgun waterfowl hunting at specific areas around the popular hunting destination. What Are the Major Casinos Around the Oklahoma City Metro Area?